so he hit the road in search of greener pastures and a better life. It looks like he enjoyed a bottle of champagne along the way. Or is that a 22 ounce of Beck's beer? Anyway, props to him for thinking outside the box. 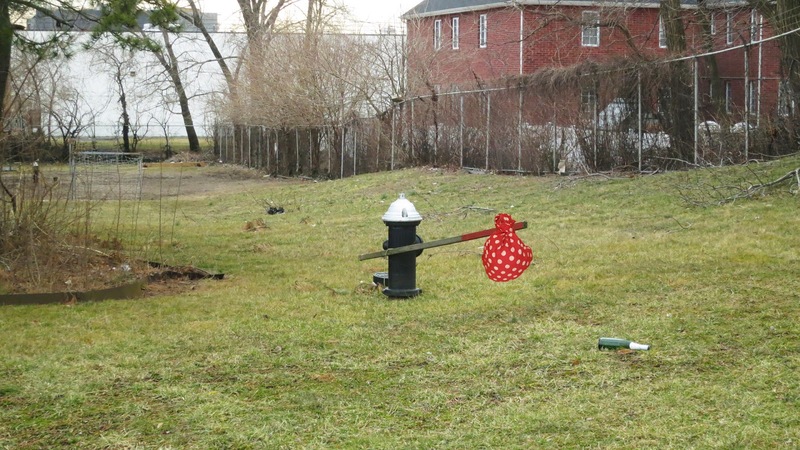 Most Fire Hydrants are so boring. They're always complaining about all that free gum on the ground. What does a Johnny pump carry in its bindle anyway?